To assess the concept of children concerning their health and its risk factors, a group of primary and middle school students were asked to draw a few relevant pictures in order to deeply explore the comprehension of this key group. In this cross-sectional study 1165 students, aged 7-15 years old, selected through random stratified sampling, were asked to draw a number of eight paintings, four paintings on health concepts, and the other four on health risk factors. The paintings were then assessed by two independent observers, and their themes and contents were abstracted and analysed. The students drew a total of 2330 paintings, 1165 paintings on the concept of health, and 1165 paintings on health risk factors. The most and least expressed health concepts concerned “mental health” and “healthy diet” (73.3% and 4.8%, respectively). Considering health risk factors, “unhealthy diet” and the two concepts of “environmental hazards” and “neglected personal hygiene” had the most (95%) and least (1.4% each) frequencies. Students in public schools, primary level and girls drew more pictures about health concept or/and its risk factors (P<0.05). The association between parents’ education level and the numbers of pictures were not statistically significant. Although students had a broad view about health and its risk factors, generally little attention had been paid to some of the main aspects such as physical activity, healthy diet, mental and oral health, and environmental hazards. In addition, it seems that parents’ educational level, as one of the main socio-economic factors, did not have any significant impact on their concepts. 1. World Health Organization. Health Promotion: A WHO Discussion on the Concept and Principles. Geneva: World Health Organisation, 1984. 3. Piko B. Health-related predictors of self-perceived health in a student population: the importance of physical activity. J Community Health 2000; 25: 125–3. 4. Burbach DJ, Peterson L. Children’s concepts of physical illness: a review and critique of the cognitive developmental literature. Health Psychol 1986; 5: 307–25. 7. Raman L, Winer GA. Children’s and adults’ understanding of illness: evidence in support of a coexistence model. Genet Soc Gen Psychol Monogr 2002; 128: 325–55. 10. WHO. Comprehensive school health education: Suggested guidelines for action. Hygie 1992; 11: 8-16. 11. Patil V, Solanki M, Kowli SK, Naik VA, Bhalerao VR, Subramania P. Long-term follow-up of school health education programs. World Health Forum 1996; 17: 81–2. 13. Tuma JM. Handbook for the practice of pediatric psychology. New York, NY: John Wiley and Sons; 1982. 14. Boyden J, Ennew J. Children in Focus: A Manual for Experiential Learning in Participatory Research with Children. Stockholm: Rädda Barnen; 1997. 19. Marmot M. Social determinants of health inequalities. Lancet 2005; 365: 1099-104. 20. 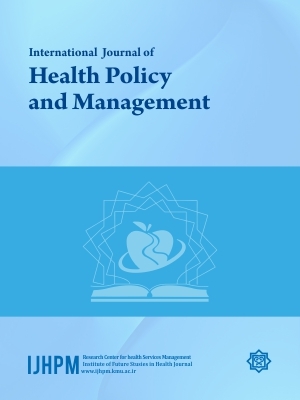 Suhrcke M, de Paz Nieves C. The impact of health and health behaviors on educational outcomes in high income countries: a review of the evidence. Copenhagen, WHO Regional Office ce for Europe: 2011. p. 6-10. 25. Jané-Llopis E, Barry MM. What makes mental health promotion effective. Promotion & education 2005; 12: 47. 29. Henricson K, Stenberg P, Rametsteiner G, Ranstam J, Hanson BS, Melander A. Socio-economic factors, morbidity and drug utilization: an ecological study. Pharmacoepidemiol Drug Saf 1998; 7: 261–7. 31. Bush PJ, Iannotti RJ. A children’s health belief model. Med Care 1990; 28: 69–86. 38. Onyango-Ouma W. Children as partners in health communication in a Kenyan community.Anthropology in Action 2003; 10: 25–33.